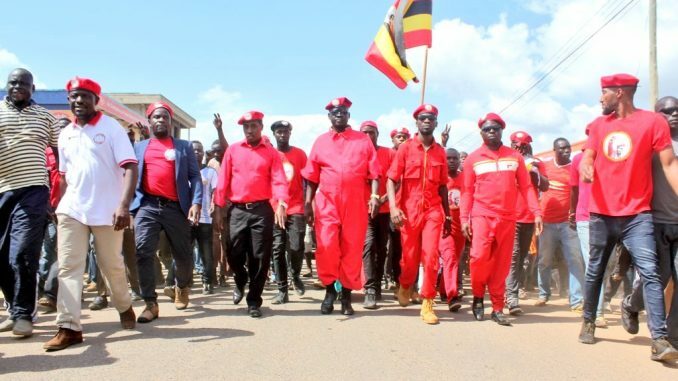 Kyadondo East MP Robert Kyagulanyi alias Bobi Wine (centre) and other MPs campaign for eventual Arua Municipality MP seat winner Kassiano Wadri (on Bobi Wine’s right) in Arua. The United Kingdom House of Commons is set to debate the infamous Arua fracas in which a number of legislators were arrested and allegedly tortured in the hands of the state. The debate scheduled for January 8, 2019, will be drawn from a motion sponsored by Stockton South legislator, Dr Paul Williams. The motion was tabled on December 3, 2018, and has been put on the schedule for debate early next year. A total of 20 UK Members of Parliament have signed to support the motion. Dr Williams is requesting UK parliament to condemn the arrest and torture of both Ugandan legislators and politician’s and asking the house to pass a motion calling UK Prime Minister Theresa May and ministers to use the influence of the UK Government together with the European Union, the United Nations, the Commonwealth and other transnational bodies to put in place initiatives that will promote democracy in Uganda. “That this House condemns the arrest and subsequent torture of Members of the Ugandan Parliament, Robert Kyagulanyi…, Paul Mwiru, Francis Zaake, Gerald Karuhanga, and Kassiano Wadri, believing that arrest and the use of torture against elected legislators has no place in a democratic country,” the motion posted on UK Parliament website reads. He further uploaded a one minute video of Bobi Wine, asking the UK to support good governance in Uganda. A total of 34 people including the legislators named in the motion are currently facing treason charges in the Gulu Magistrates Court. The case was early this month deferred to January 10, 2018, to give the state sufficient time to conclude investigations. 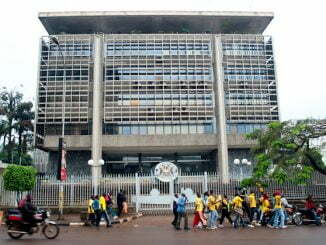 The charges followed the chaos that dominated the last day of campaigns ahead of the Arua Municipality by-election held in August. 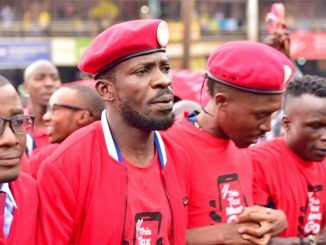 It is alleged that Kyadondo East MP Robert Kyagulanyi Also Known as Bobi Wine, and his contemporaries commanded a team of youths that obstructed the president’s motorcade and pelted stones that smashed the windscreen of one of the vehicles in the convoy. In the aftermath, one Yasin Kawuma, a driver was shot dead. Days after the Arua incident, Dr Williams raised an inquiry in the house, asking whether Theresa May’s government was concerned about the arrest and torture of MPs in Uganda. In April he also requested the UK government to ask Museveni to retire, arguing that he has become an impediment to good governance.